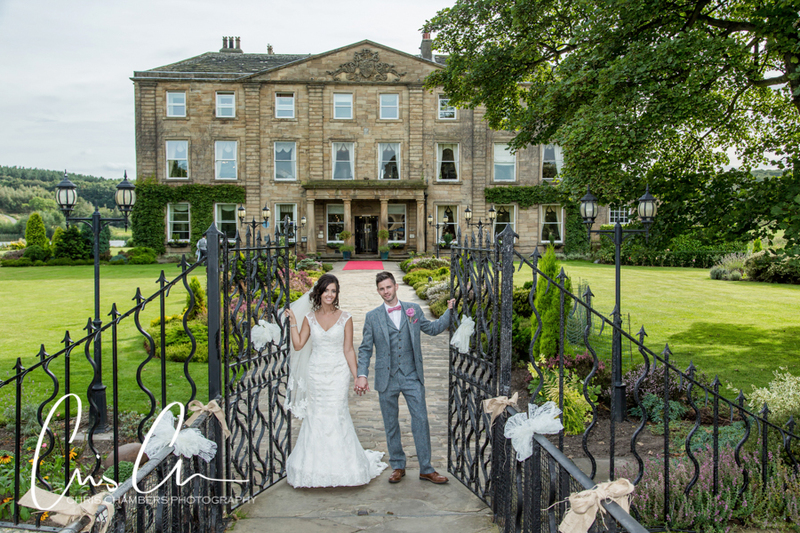 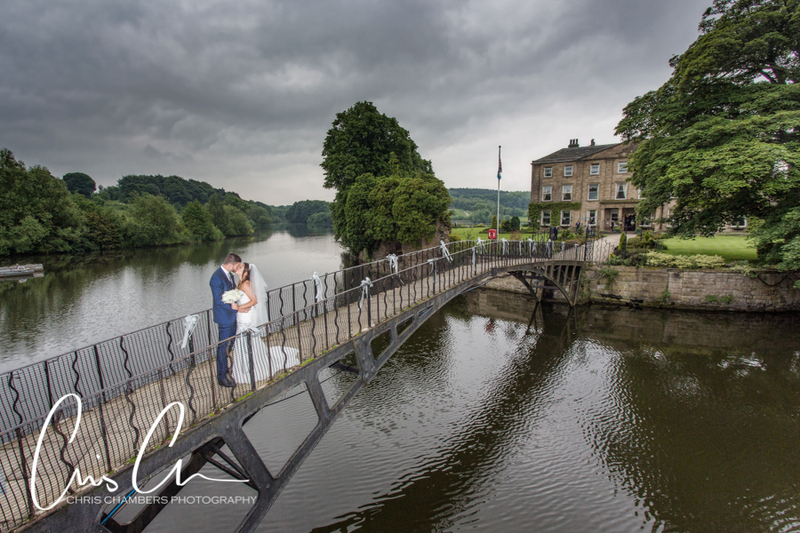 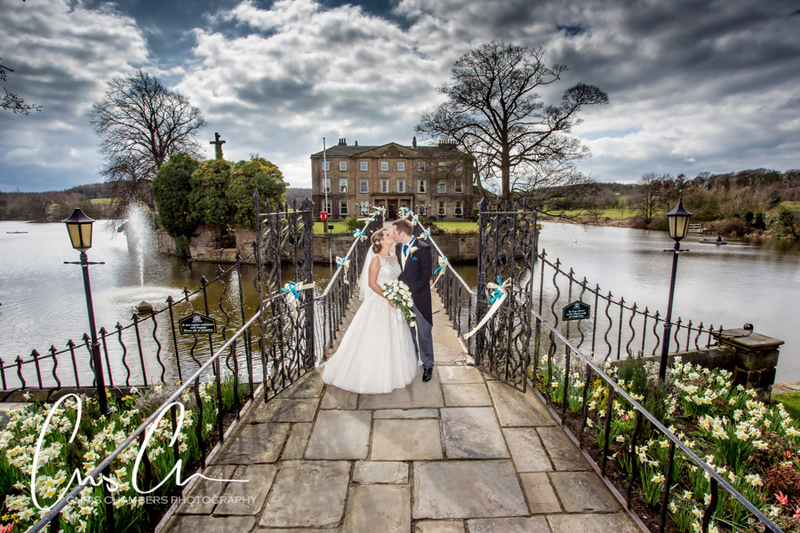 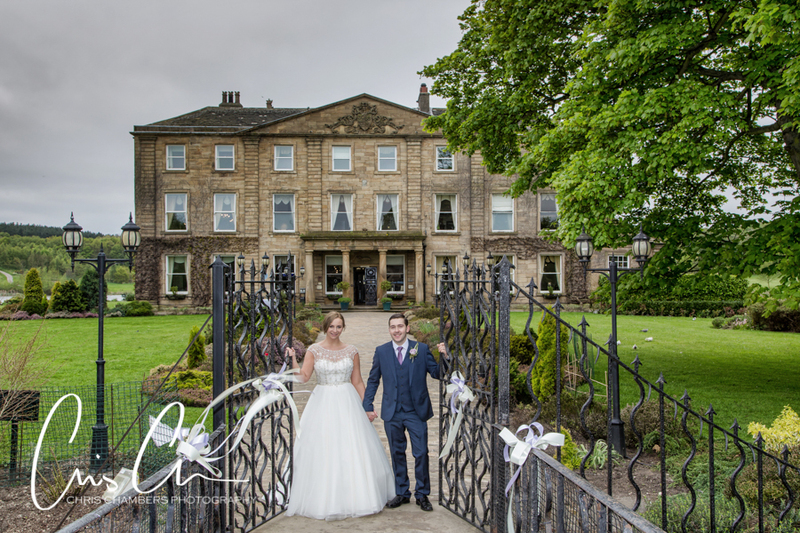 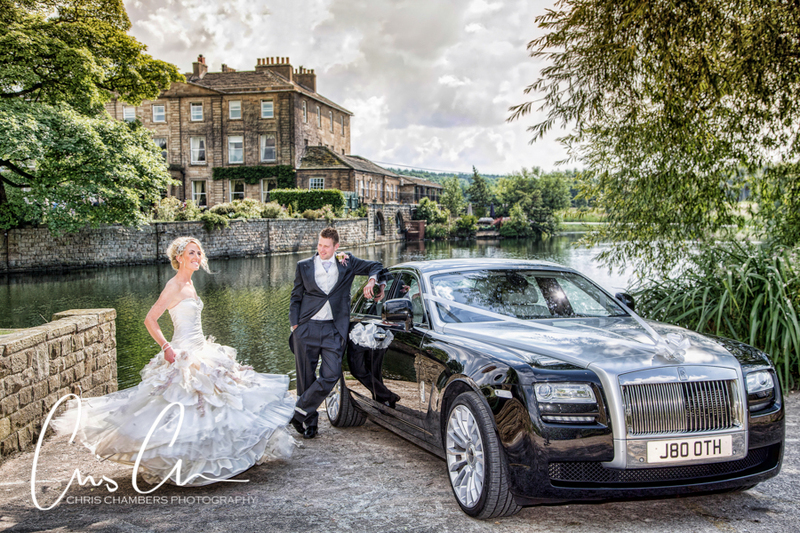 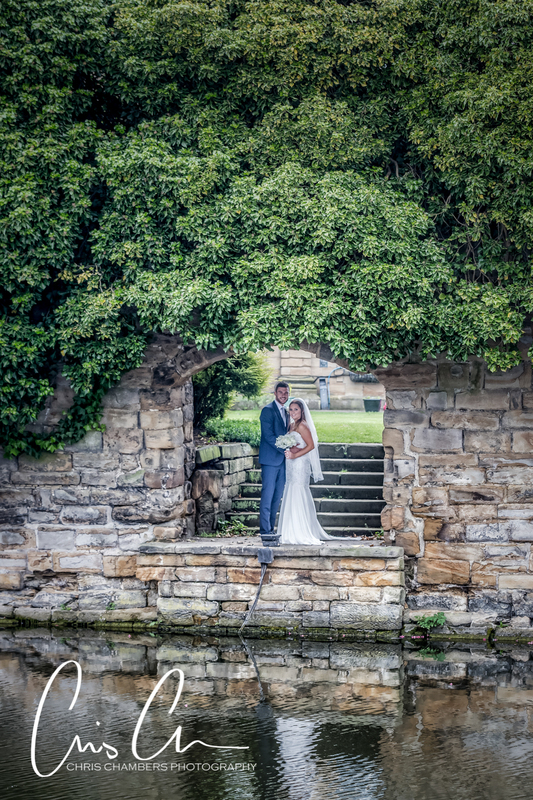 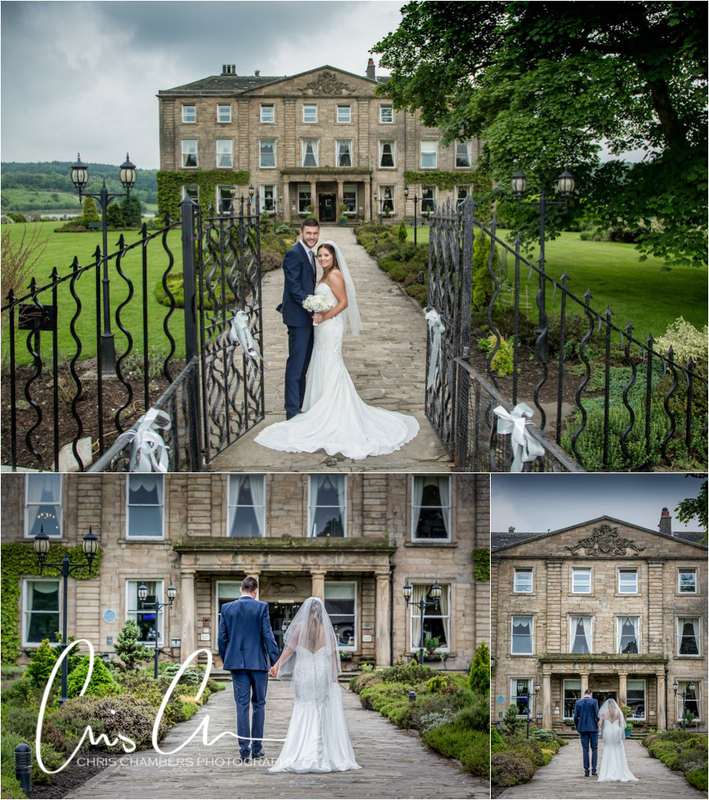 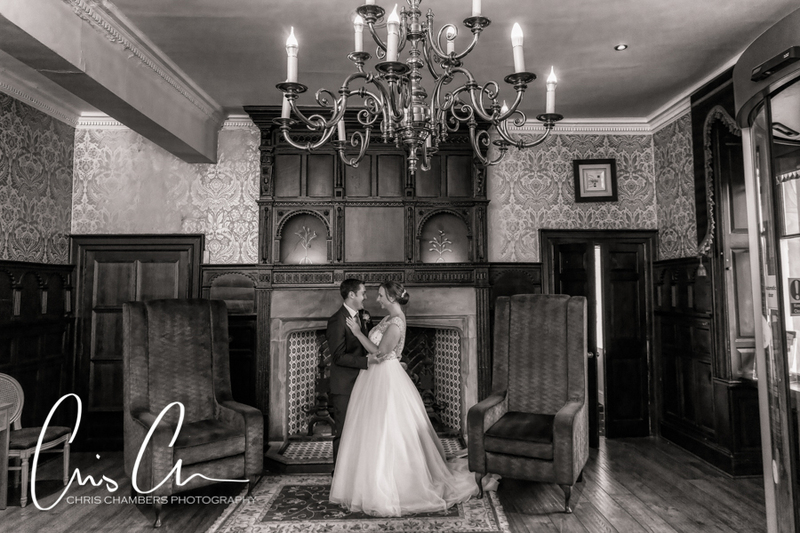 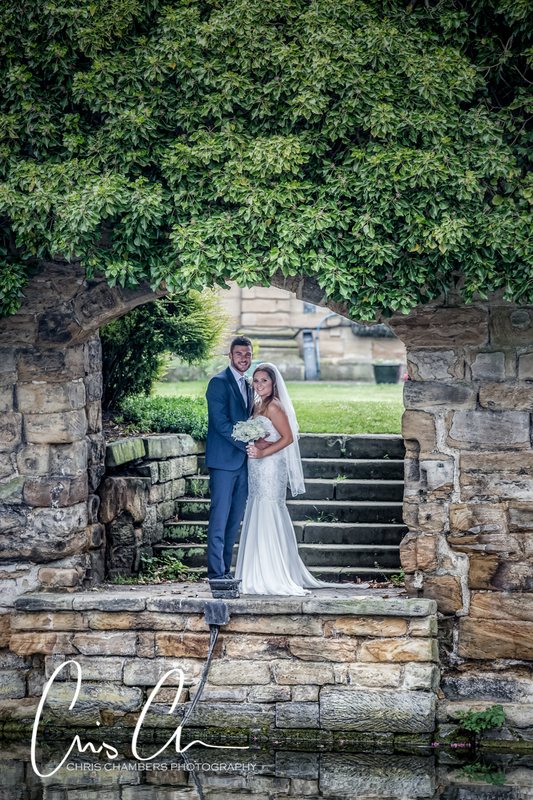 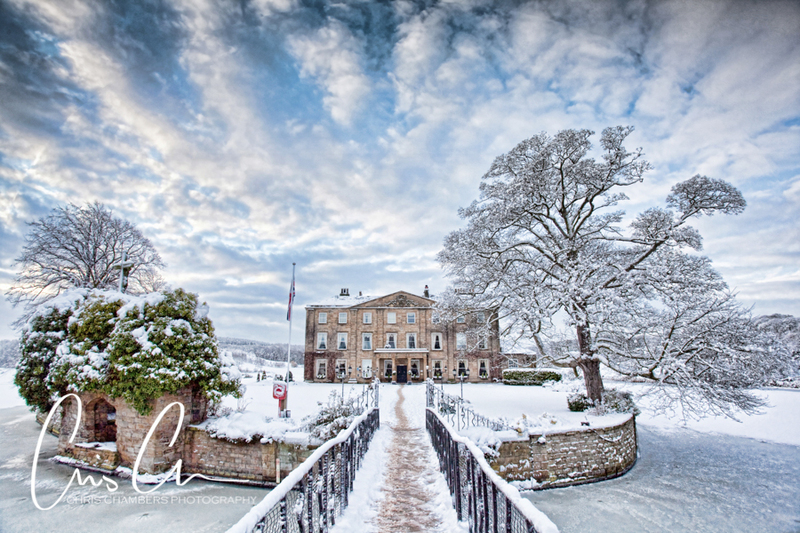 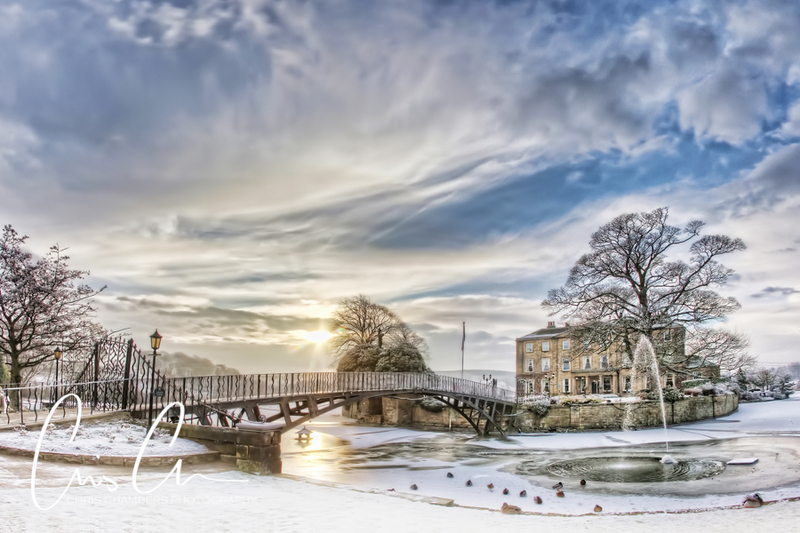 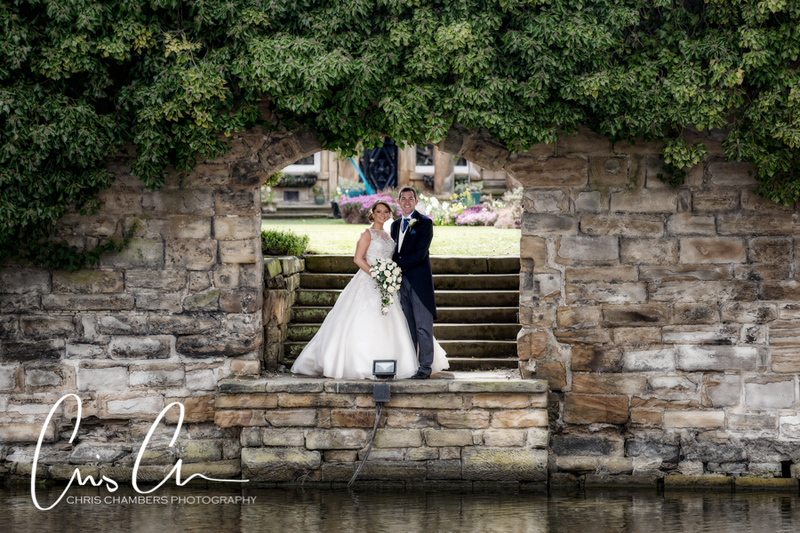 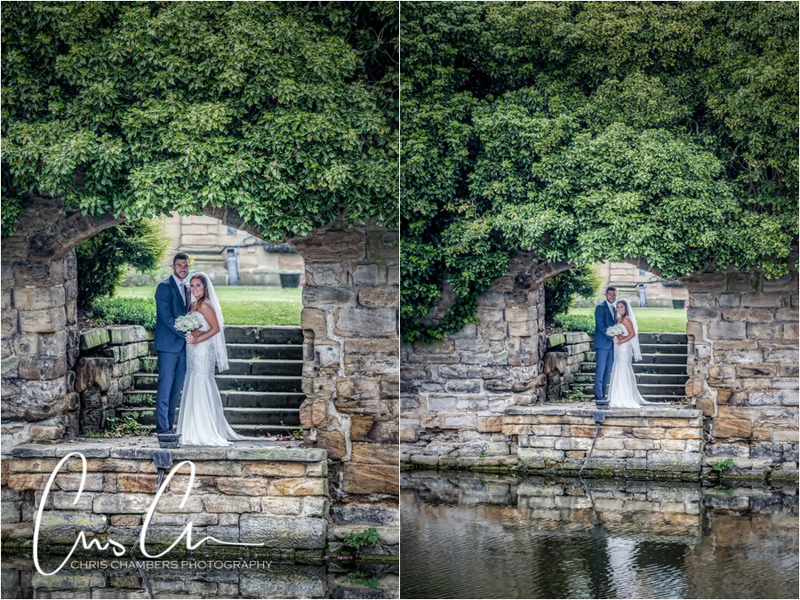 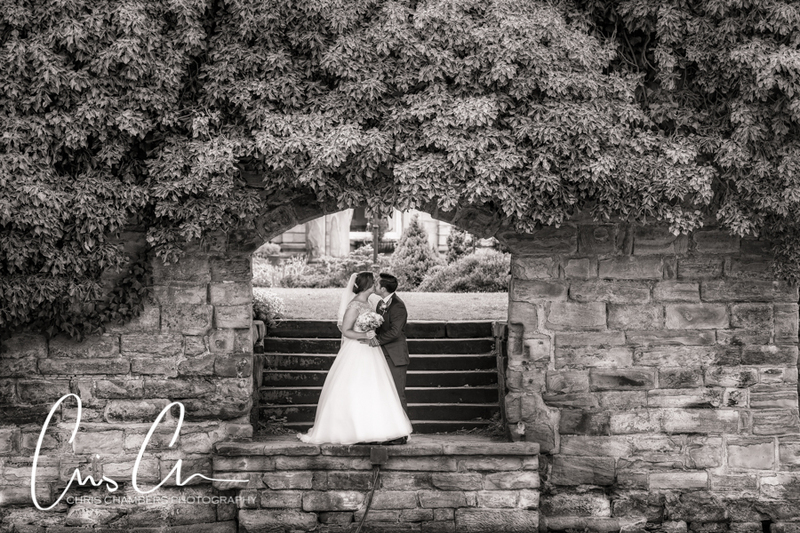 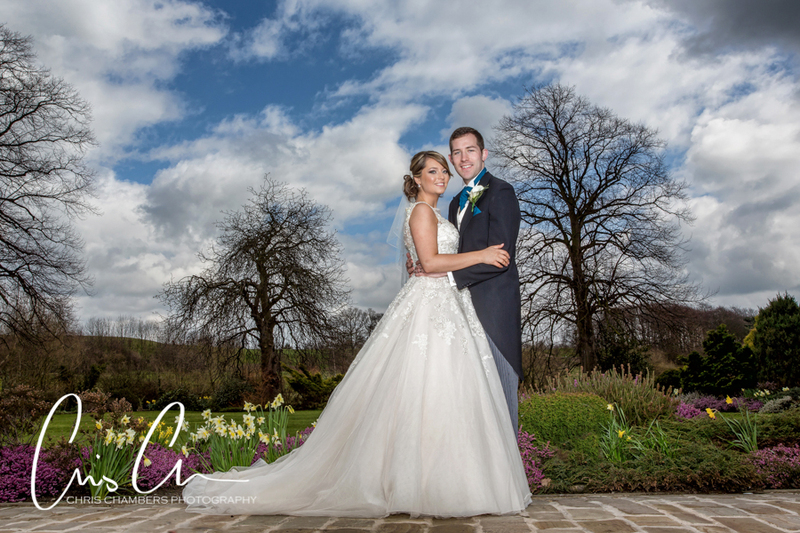 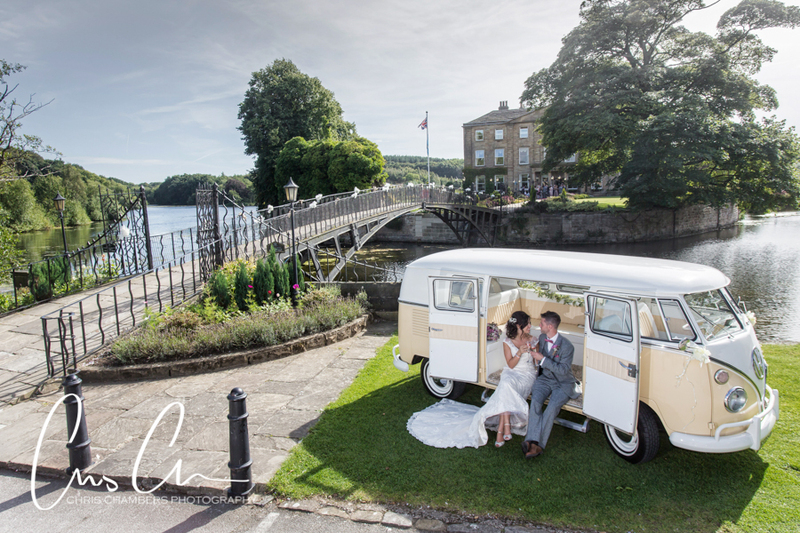 Walton Hall at Waterton Park Hotel, a stunning wedding venue near Wakefield in West Yorkshire. 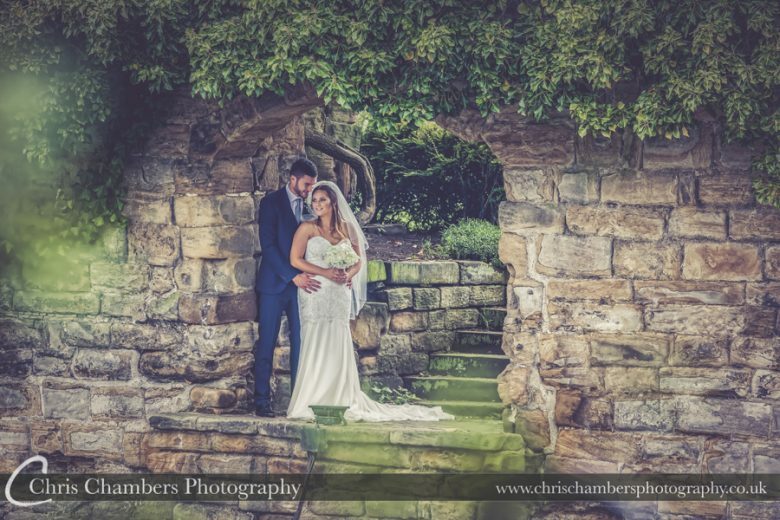 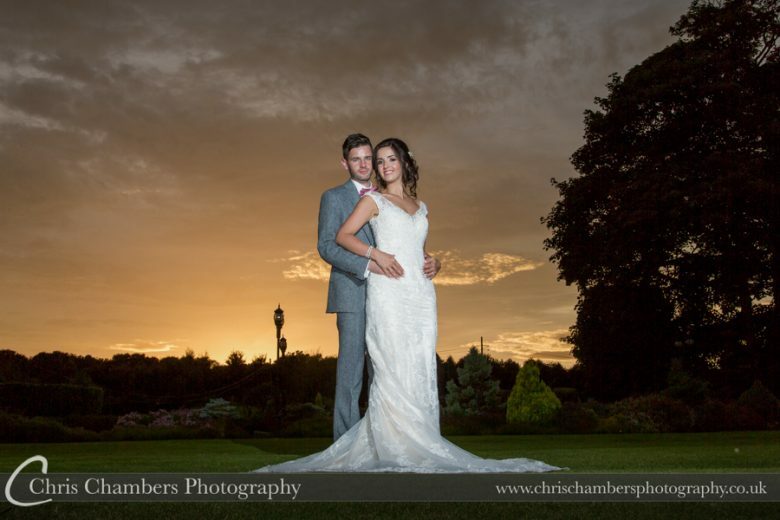 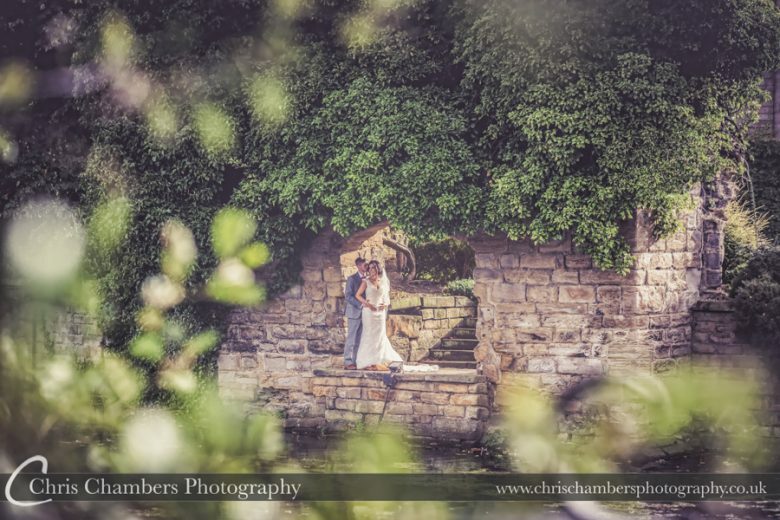 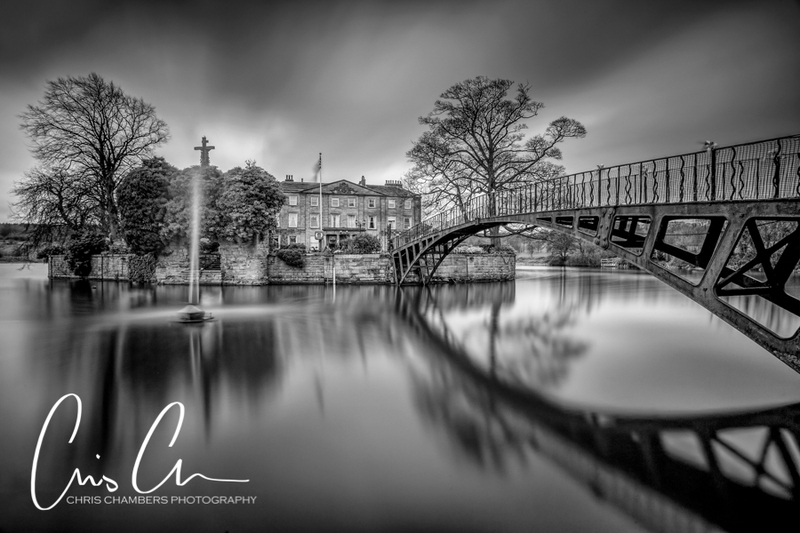 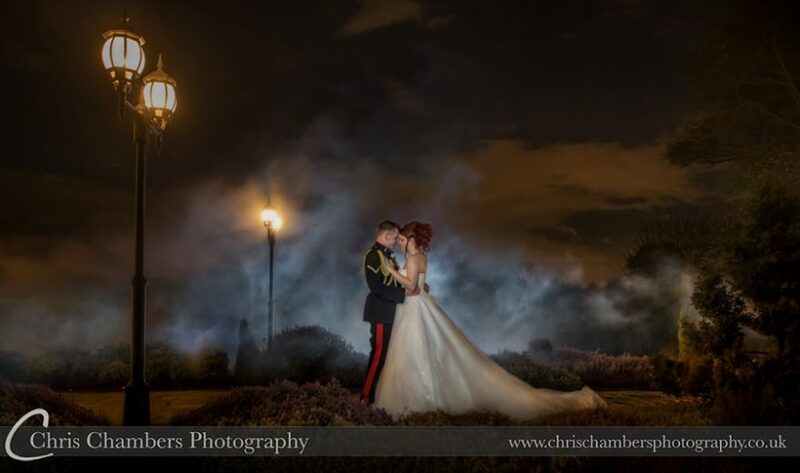 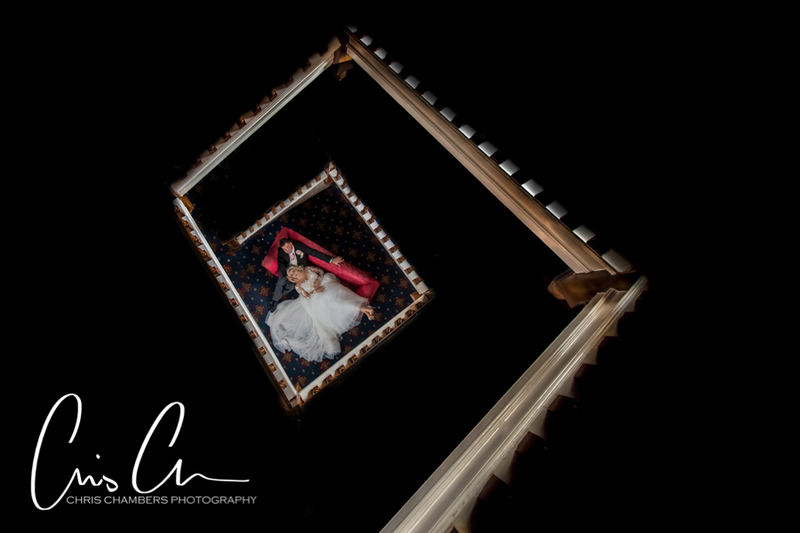 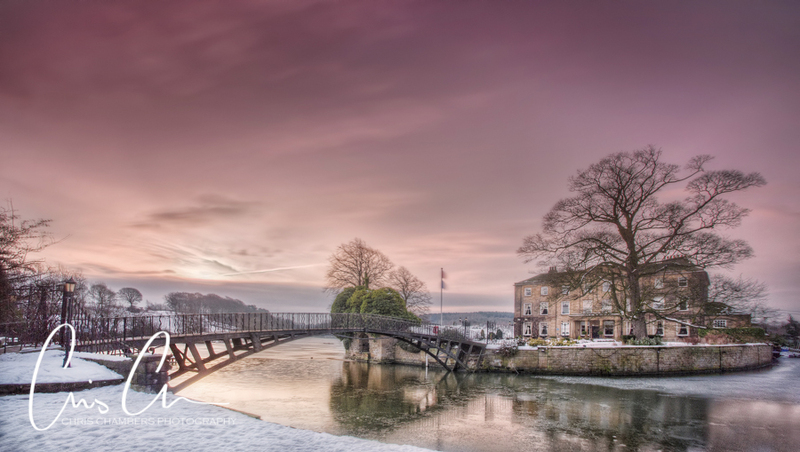 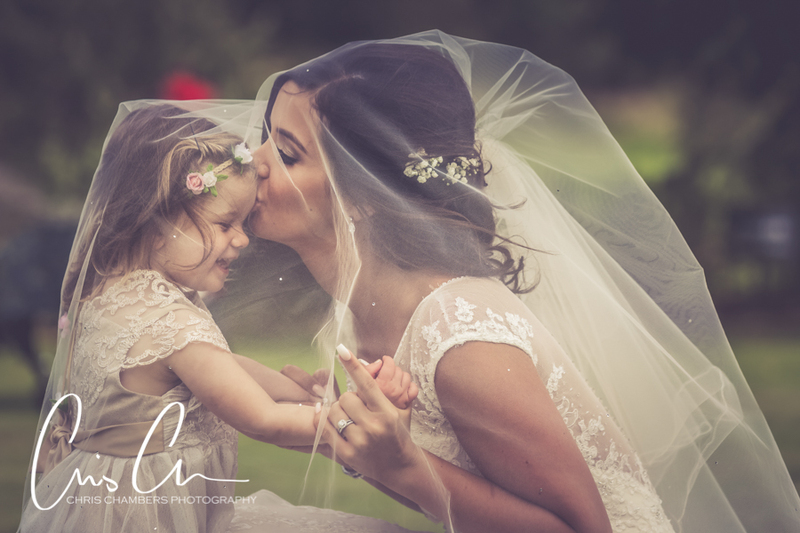 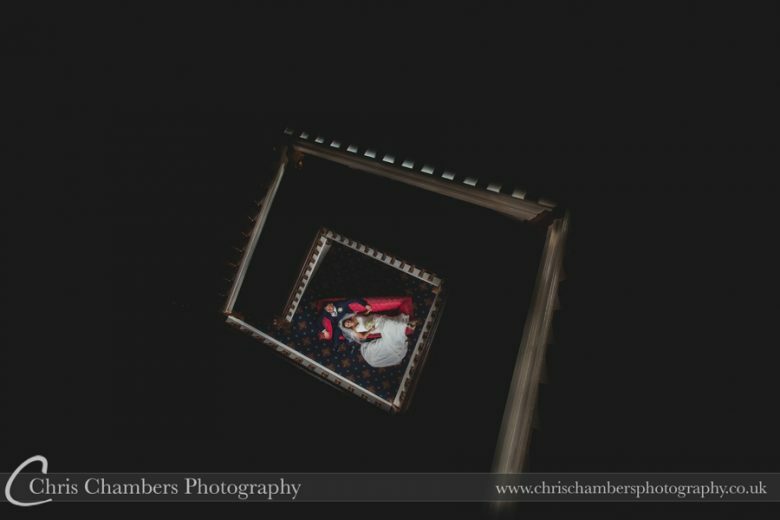 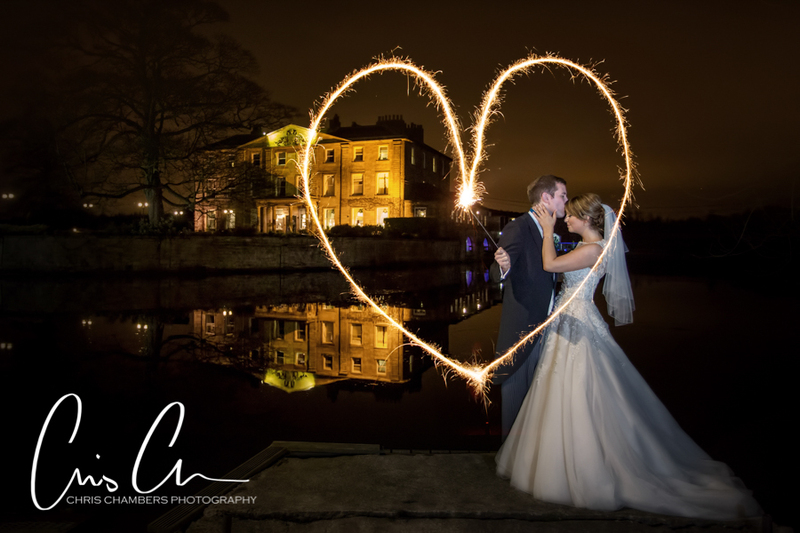 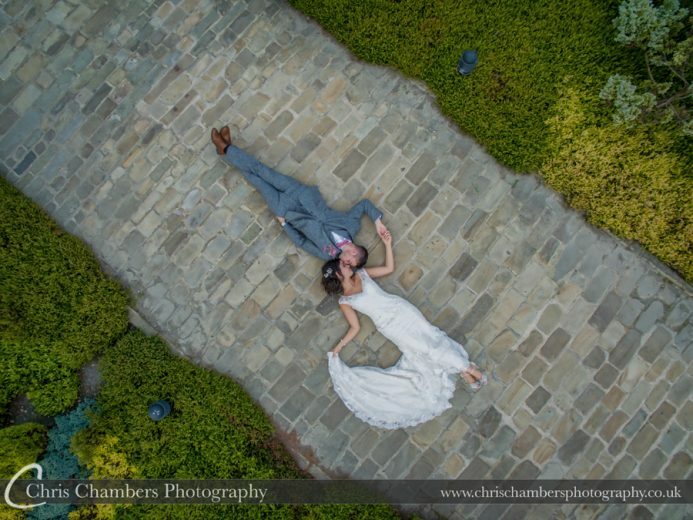 Chris Chambers photography are proud to be recommended by Waterton Park Hotel for wedding photography services. 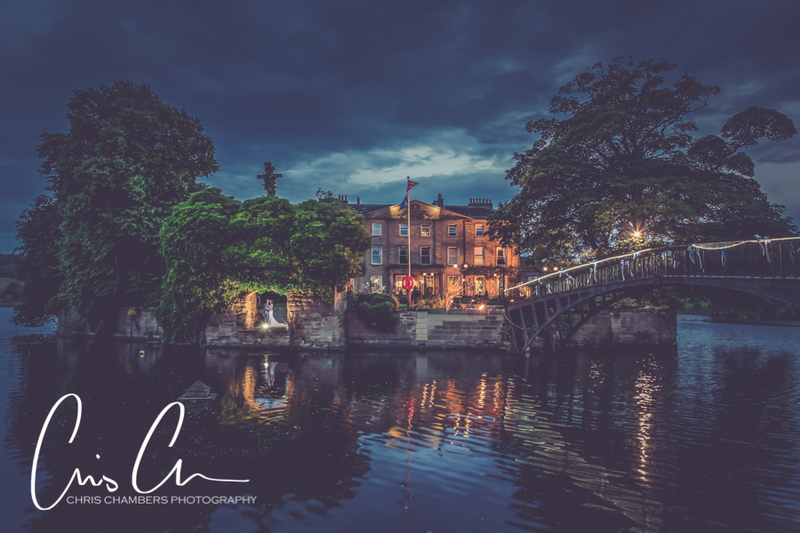 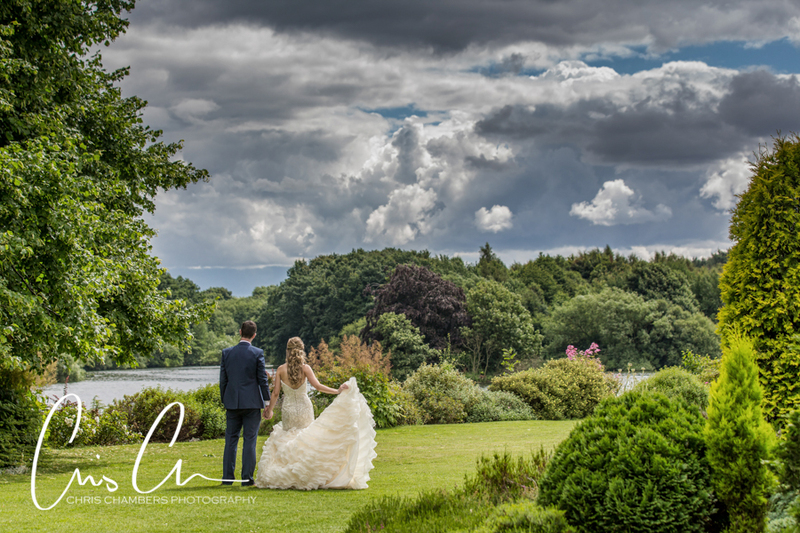 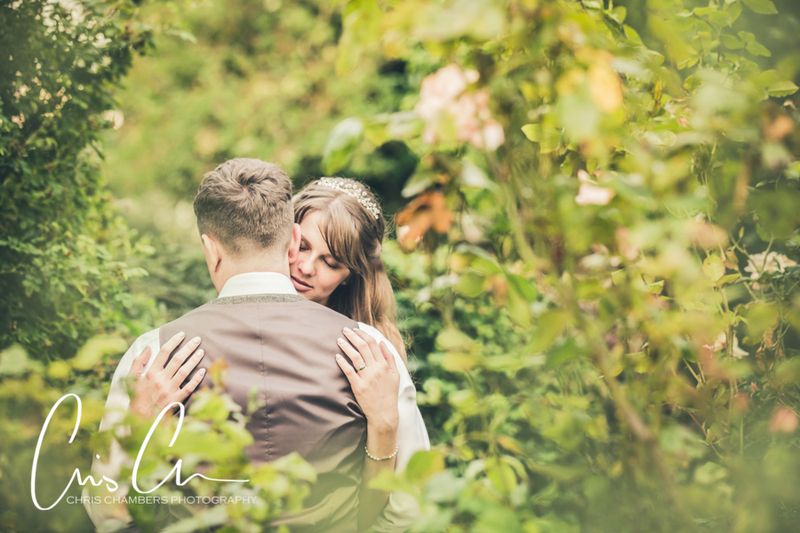 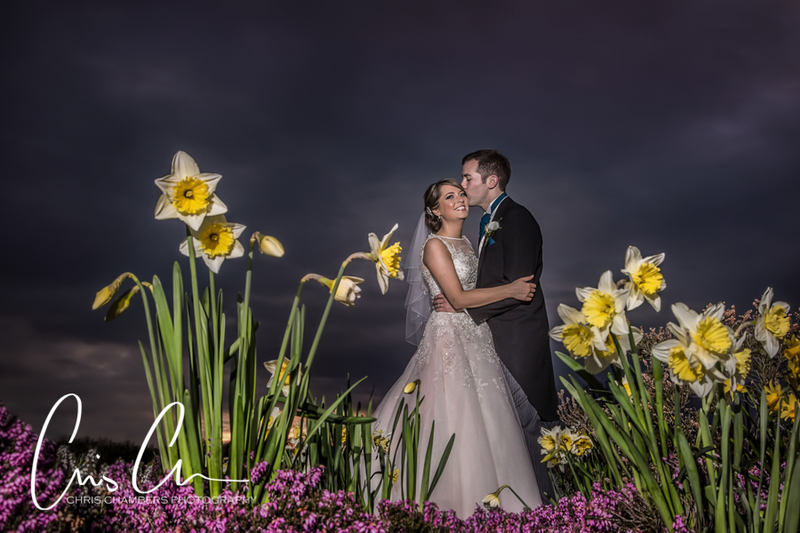 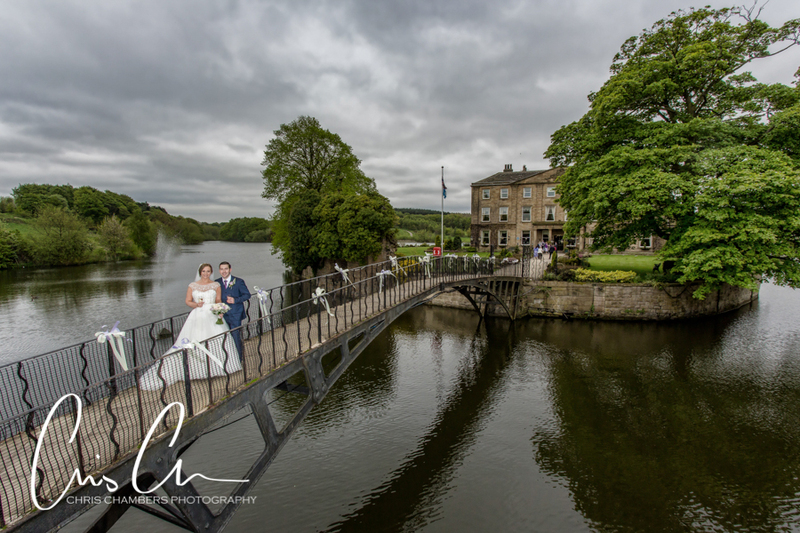 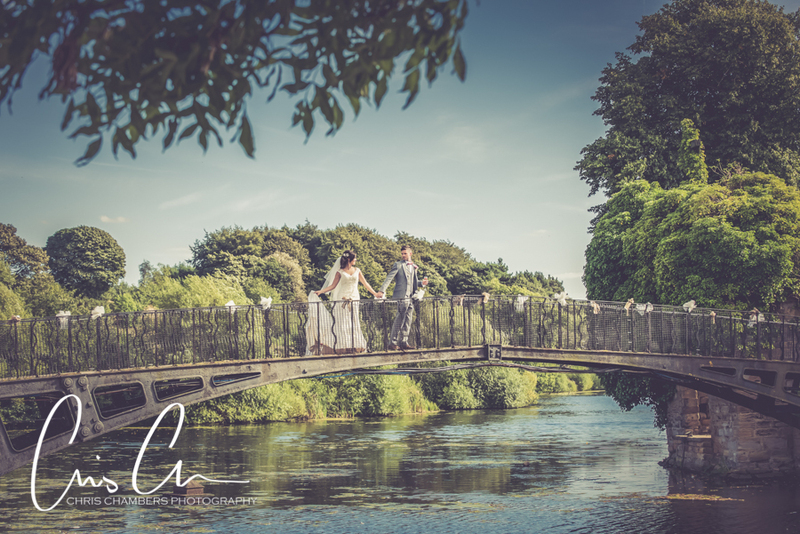 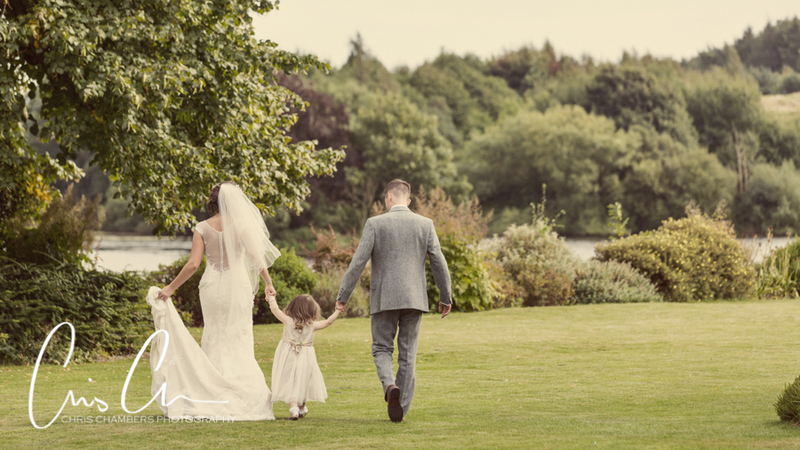 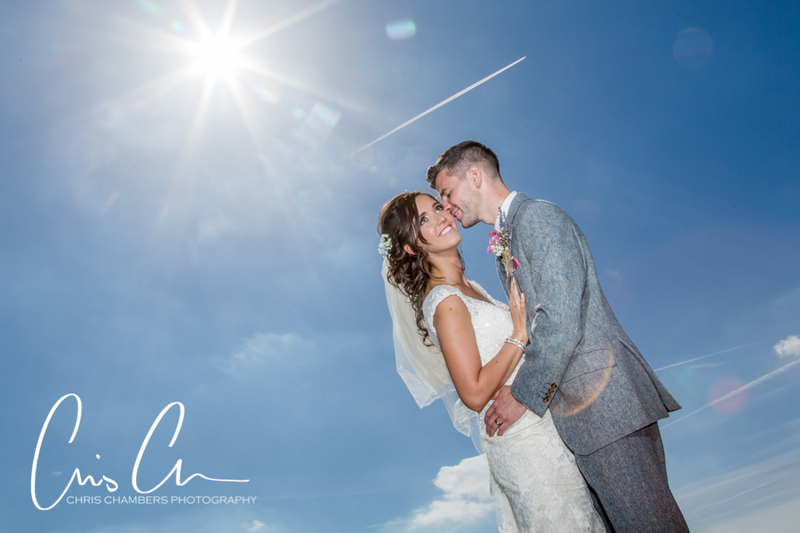 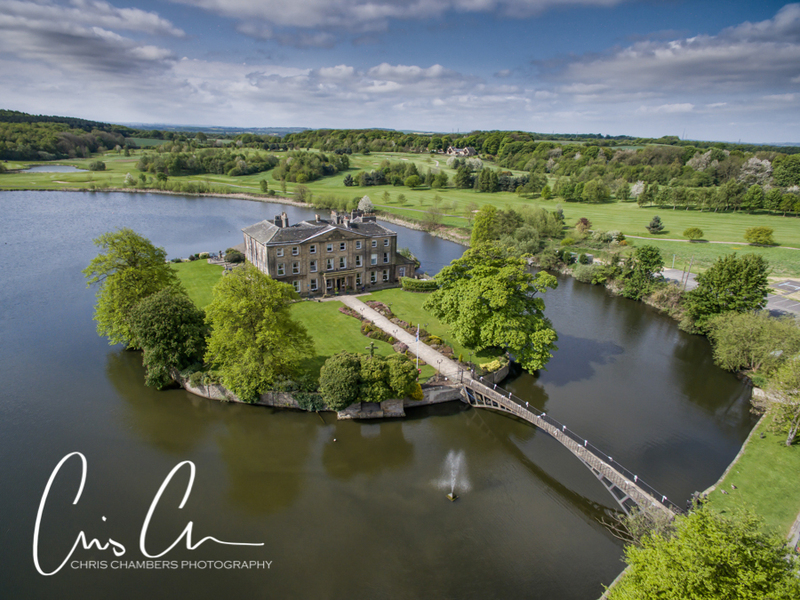 Photographing a number of weddings each year at Waterton Park hotel has ensured I have a great knowledge of the hotel, island and surrounding countryside for the ideal wedding photo opportunities in all weathers and all seasons. 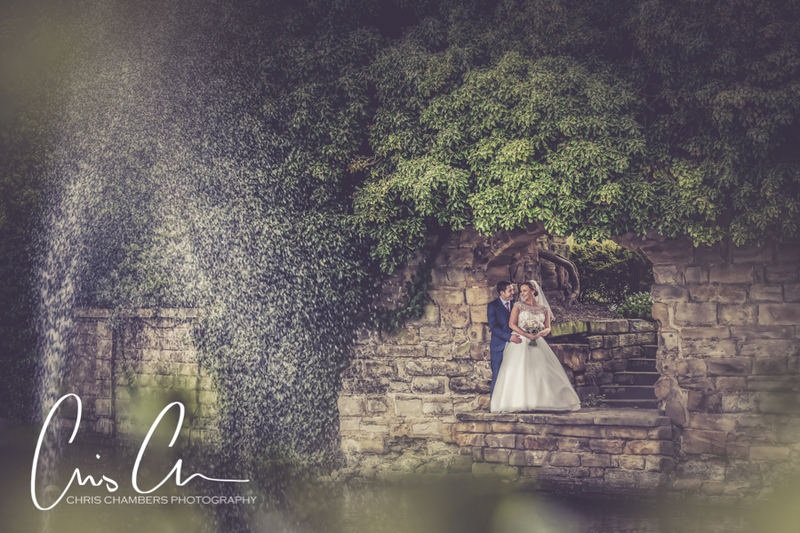 In snow, rain or shine the island offers the perfect opportunities for a picturesque wedding day. 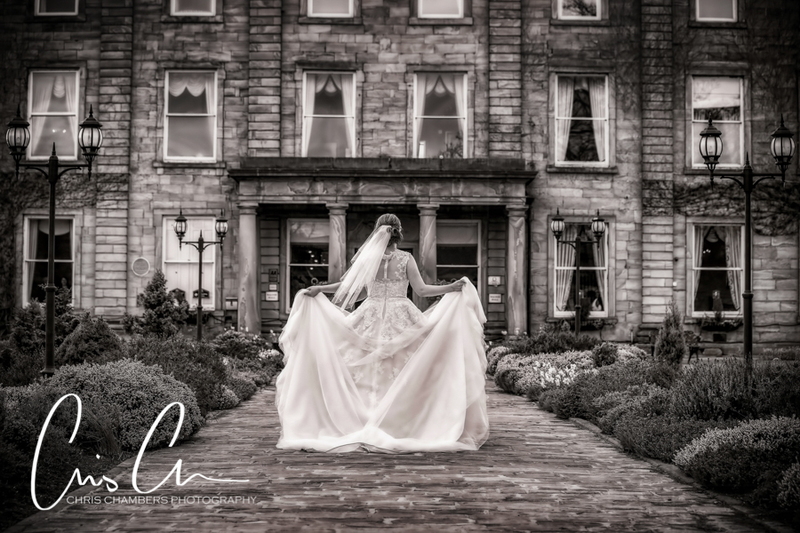 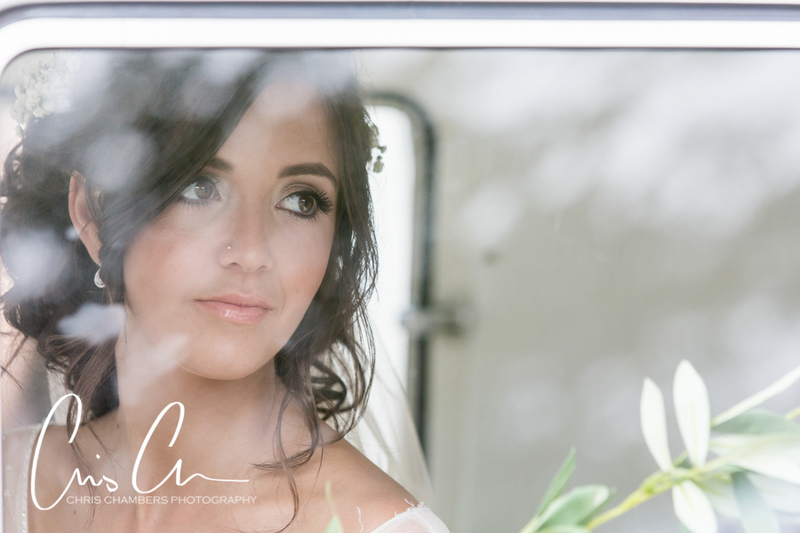 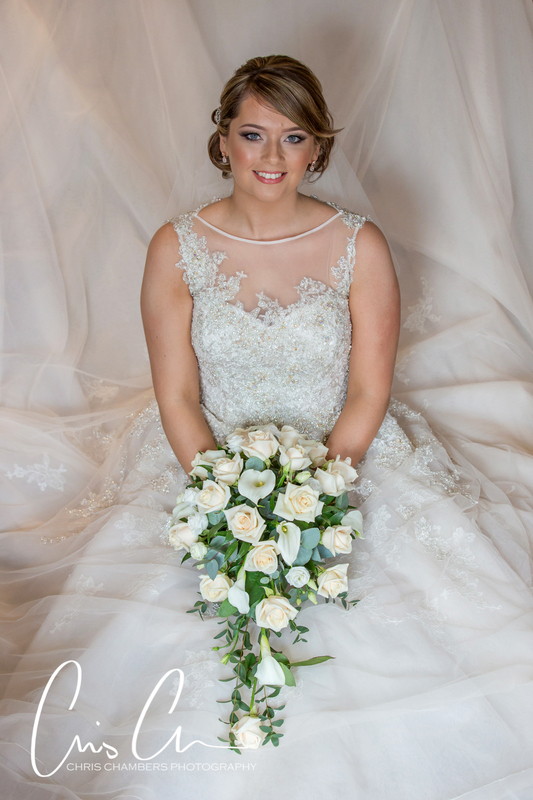 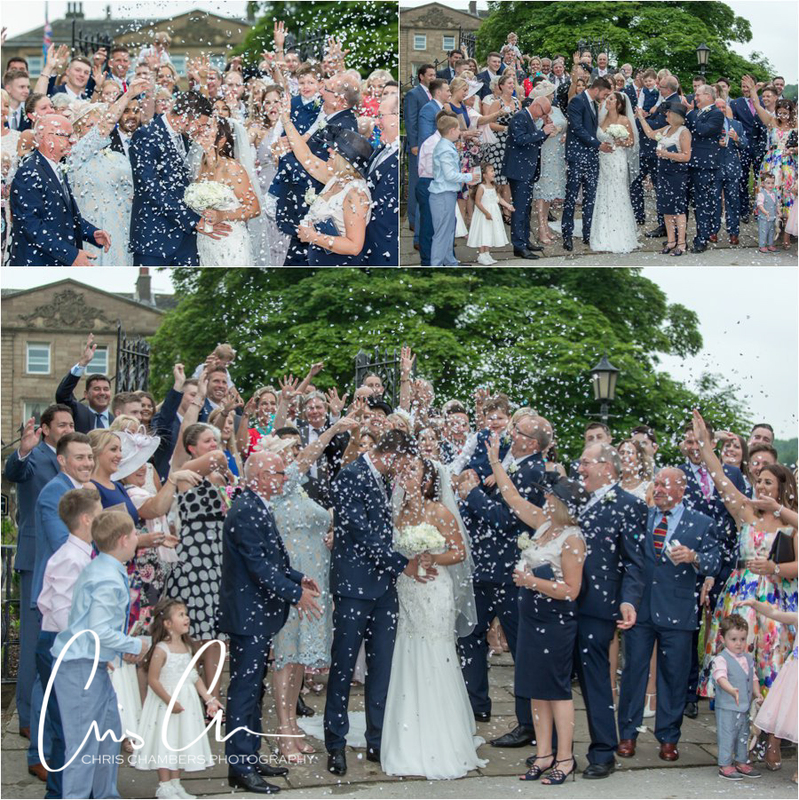 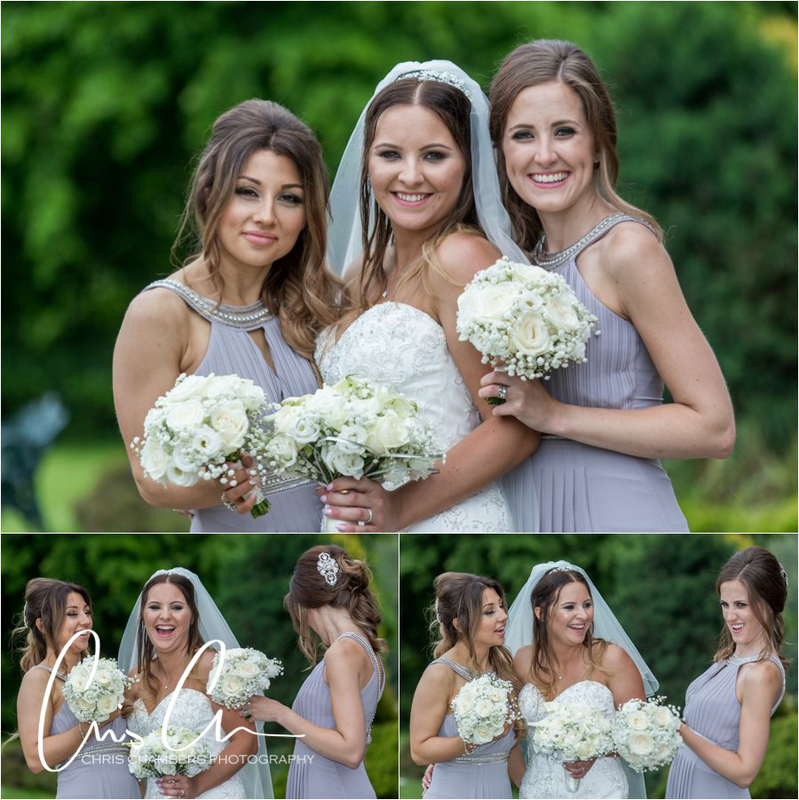 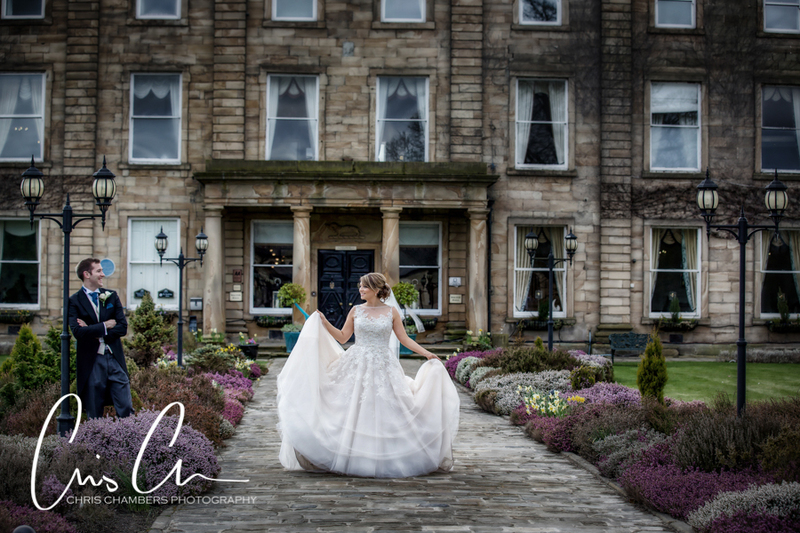 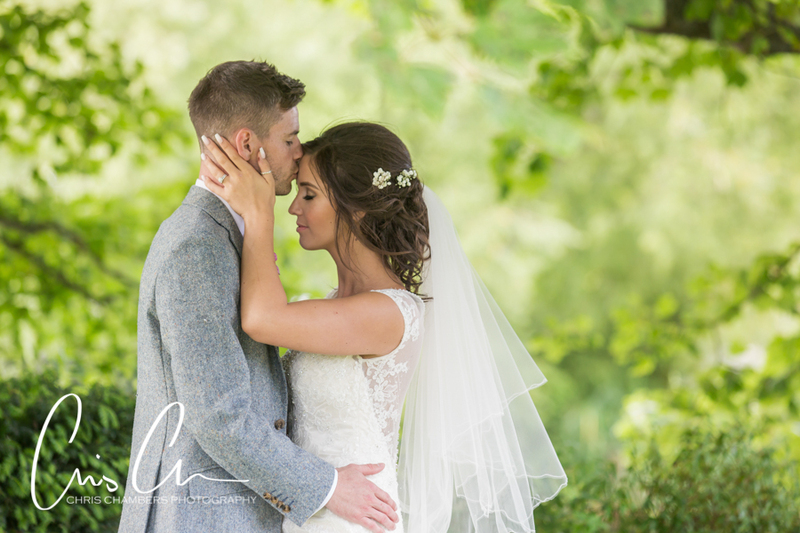 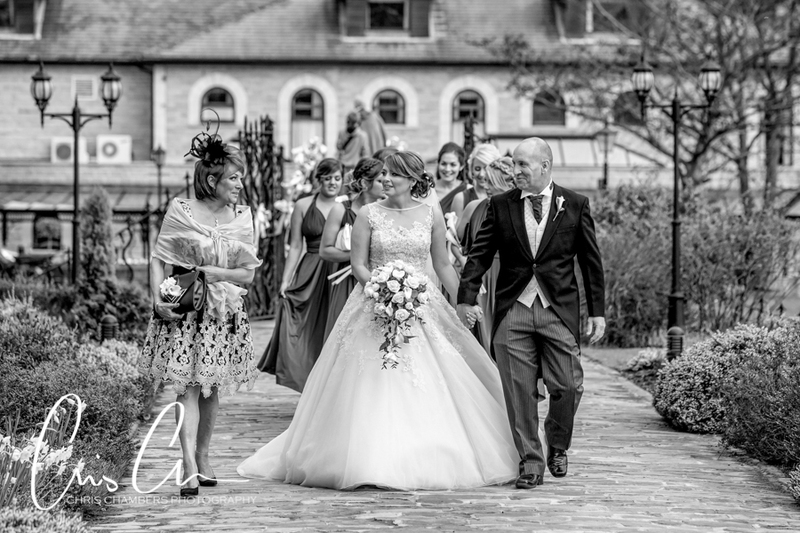 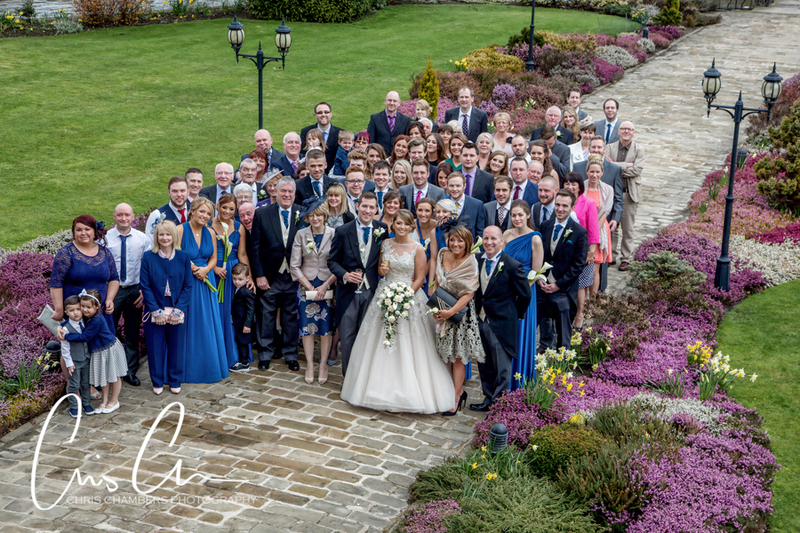 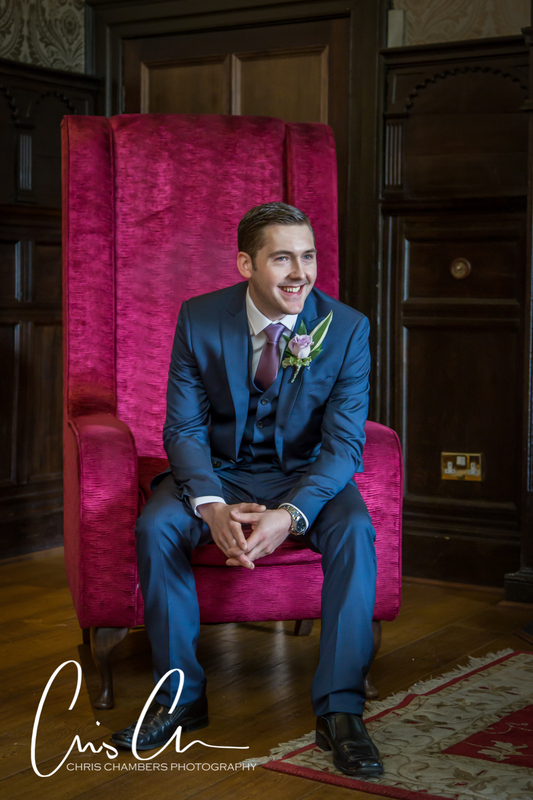 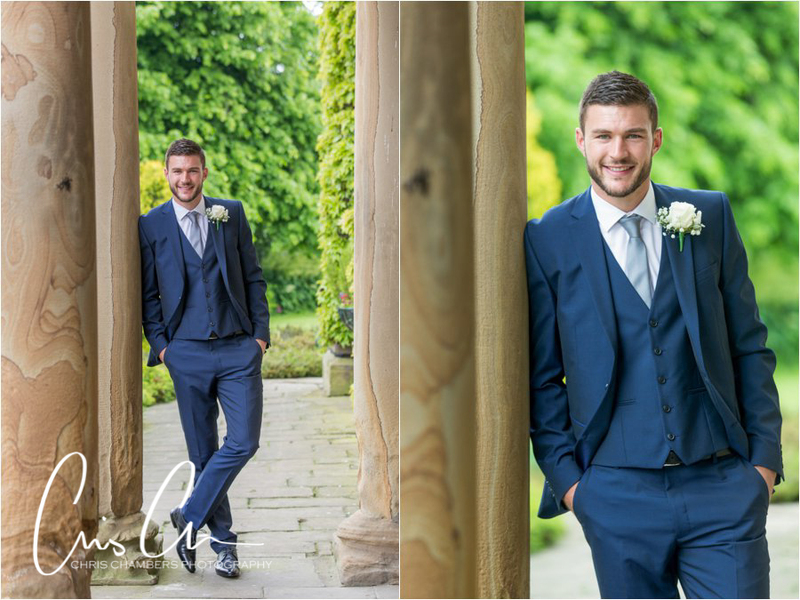 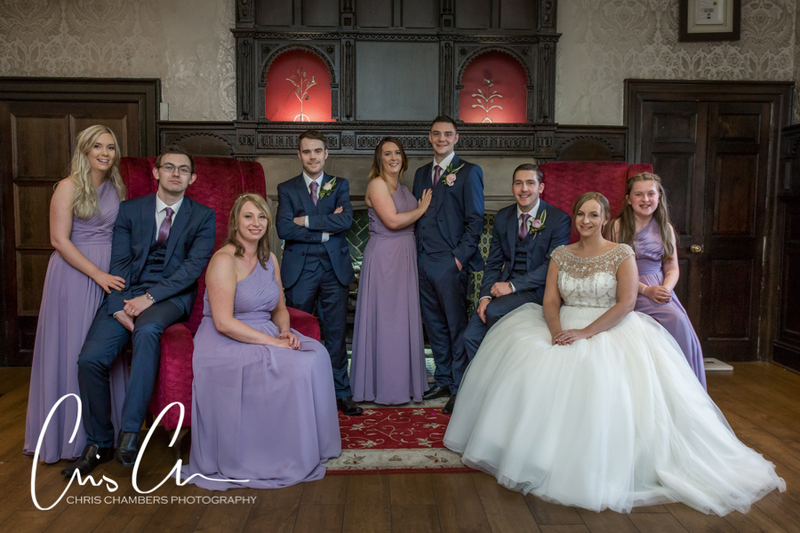 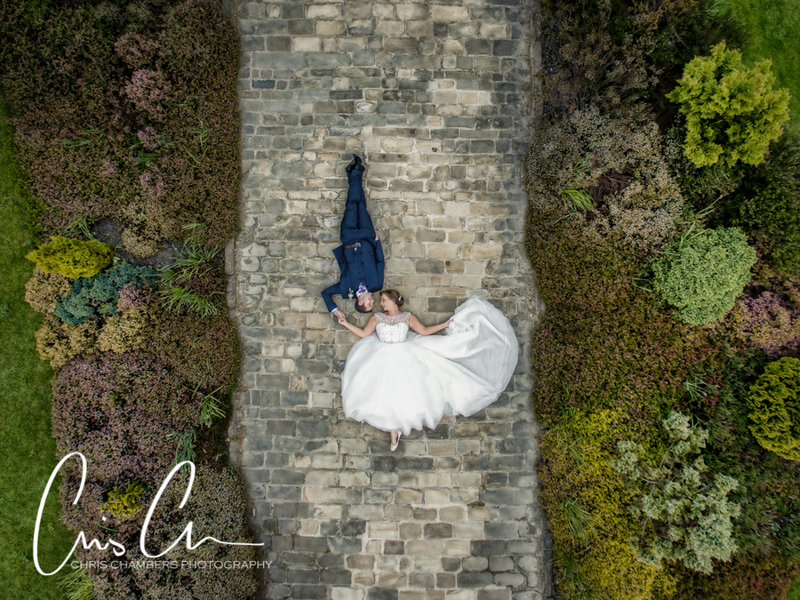 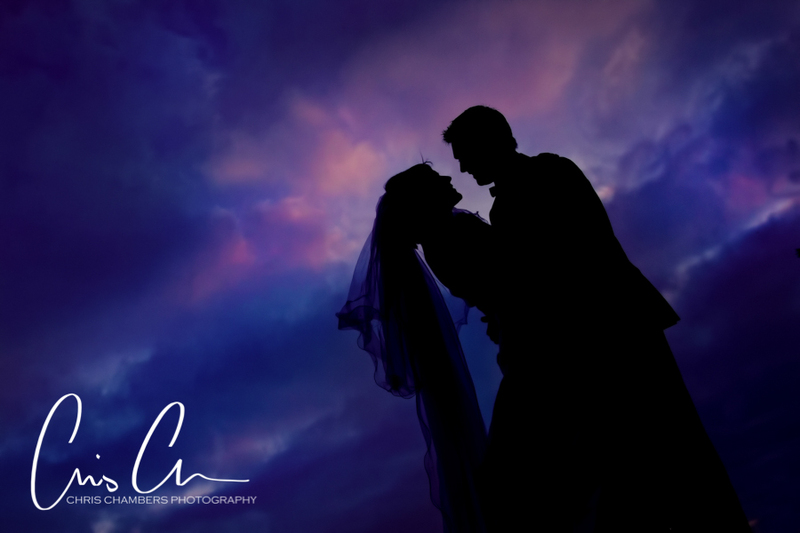 Through a good working experience of weddings Waterton Park Hotel you can be assured that I work well with the wedding team to ensure your day runs smoothly whilst maximising the photo opportunities available to you throughout your wedding day. 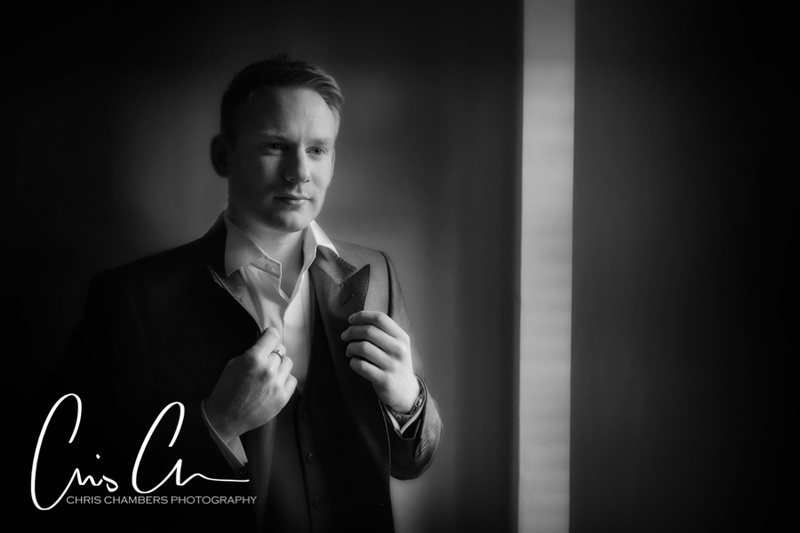 The friendly atmosphere created by both myself and the staff helps you to feel comfortable in front of the camera lens. 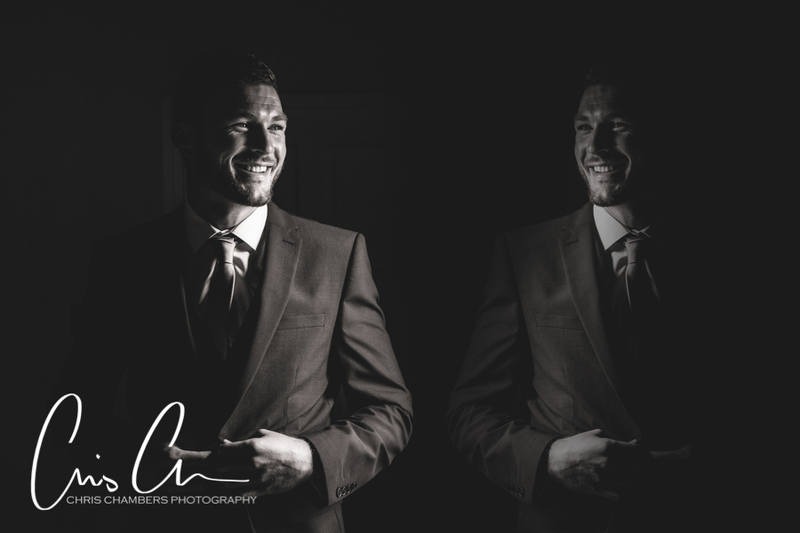 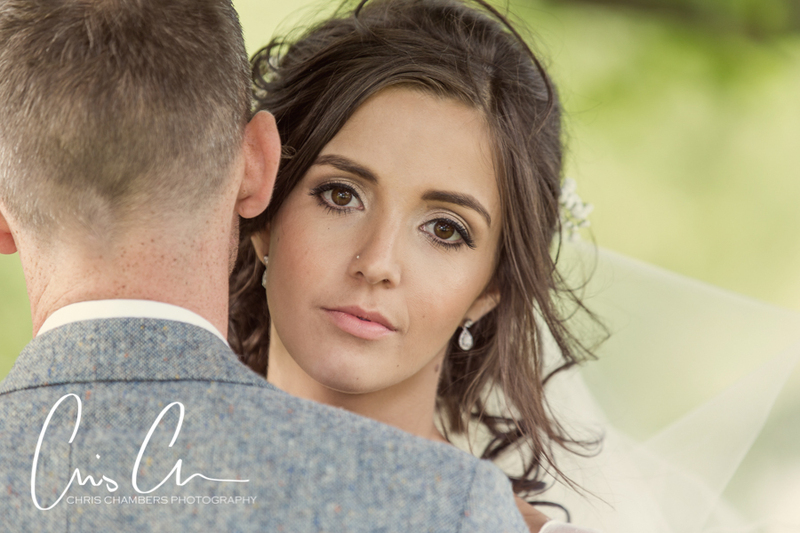 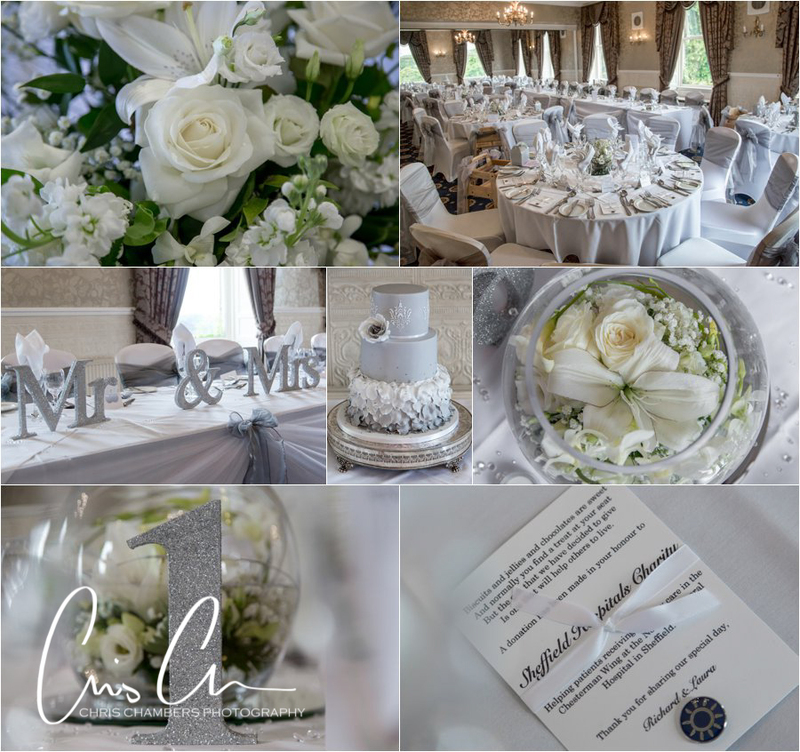 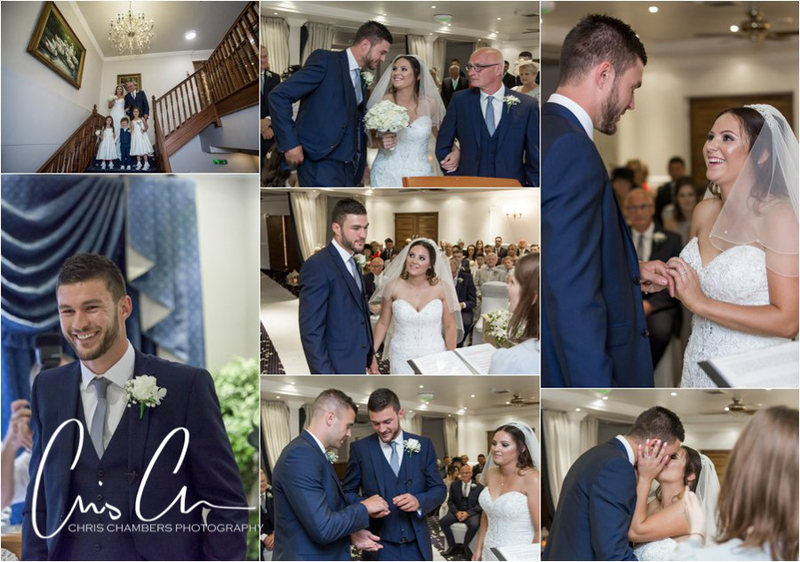 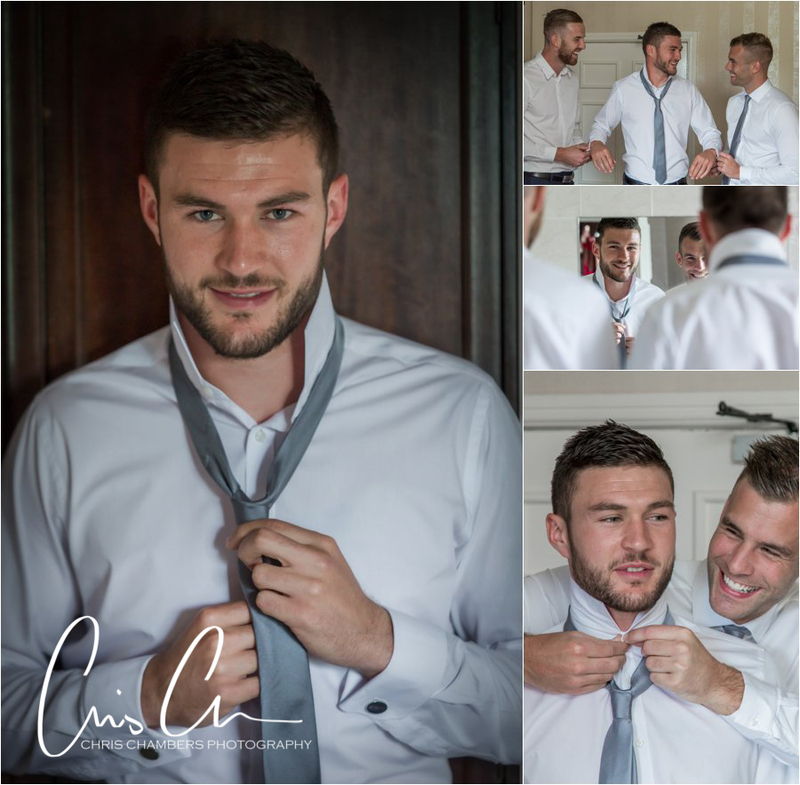 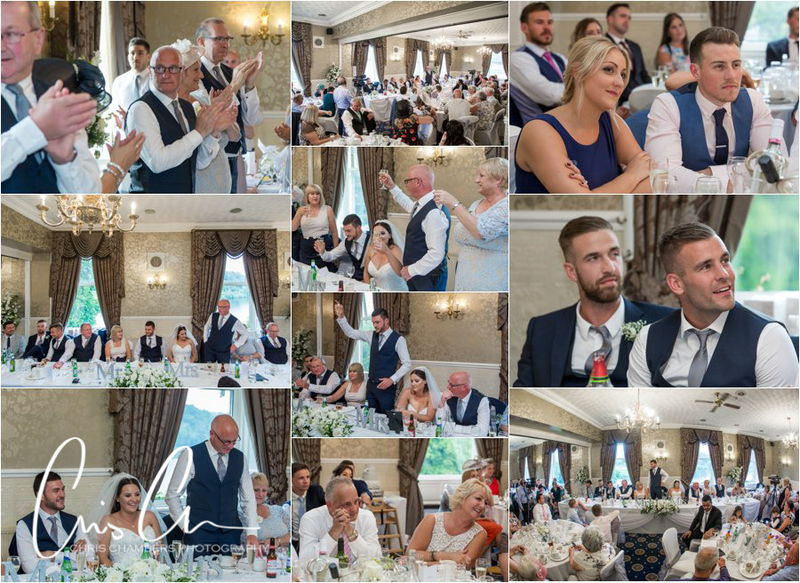 As all wedding photography packages include a full days attendance from preparation to the evening celebrations your Waterton Park Hotel wedding album can incorporate your whole wedding day. 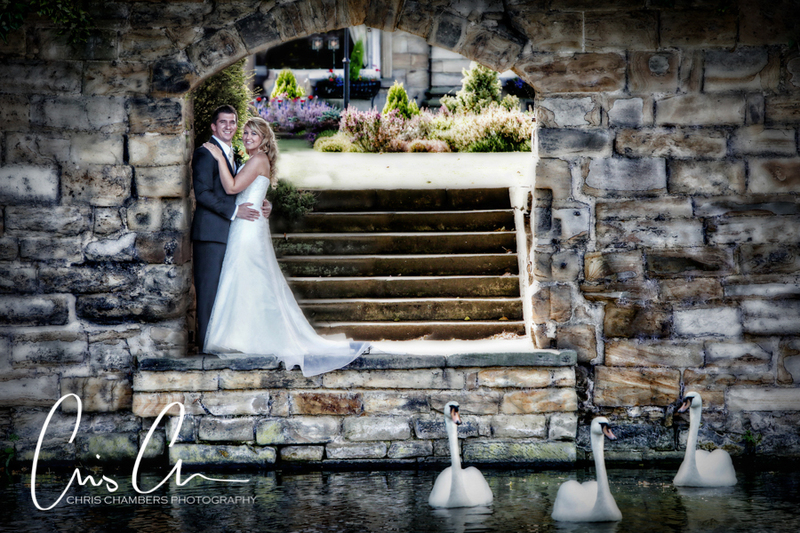 All wedding photography packages including those at Walton Hall include a full day’s attendance from preparation to evening dances, large screen display of your wedding photographs during the evening reception, pre-wedding photo shoot, album and unlimited album photographs – full details of wedding photography packages can be found here – Wedding Packages.